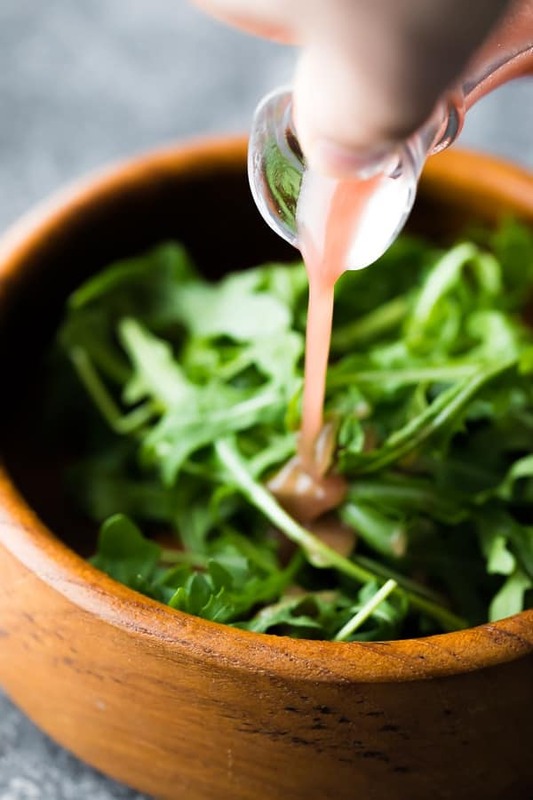 Easy homemade red wine vinaigrette is my go-to for pasta salads and grain-based salads, but is also great on greek salad or cabbage slaw. 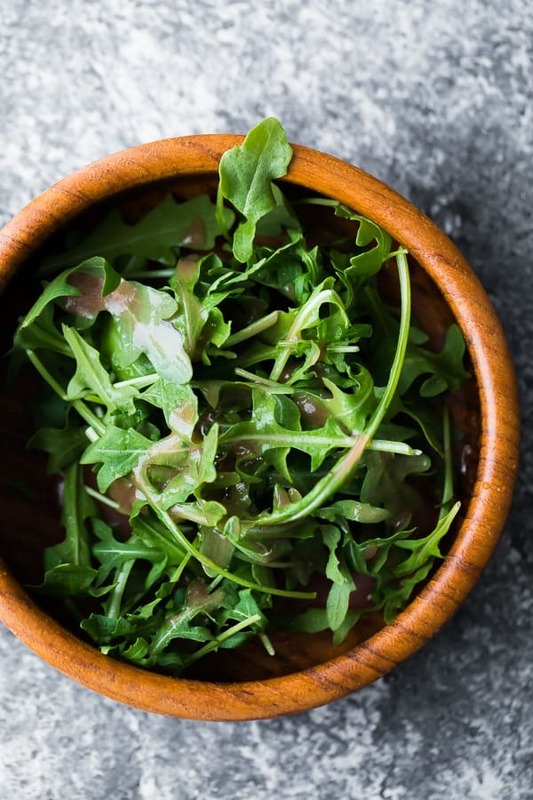 Whip it up with four basic pantry staples in under 5 minutes for a clean eating and vegan dressing recipe. 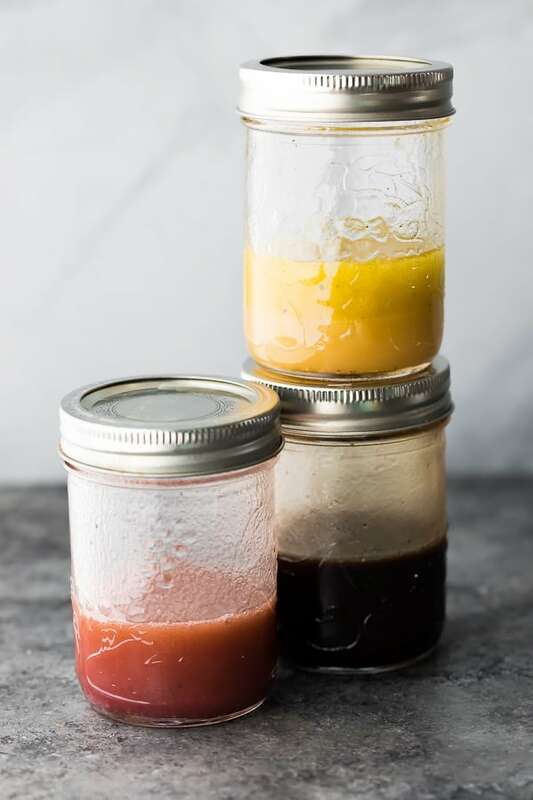 A good homemade vinaigrette is often what brings the magic to a salad. When I think pasta salad, the first thing that jumps to my mind is a good, tangy red wine vinaigrette, and it’s time I shared my recipe on the blog! 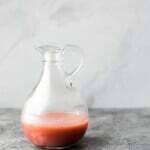 This red wine vinegar dressing is very tangy, savory and a tiny bit sweet. I find it has a sweeter flavor than a white wine vinaigrette, but less sweet than a balsamic vinaigrette. It’s definitely the tangiest of the bunch, though! 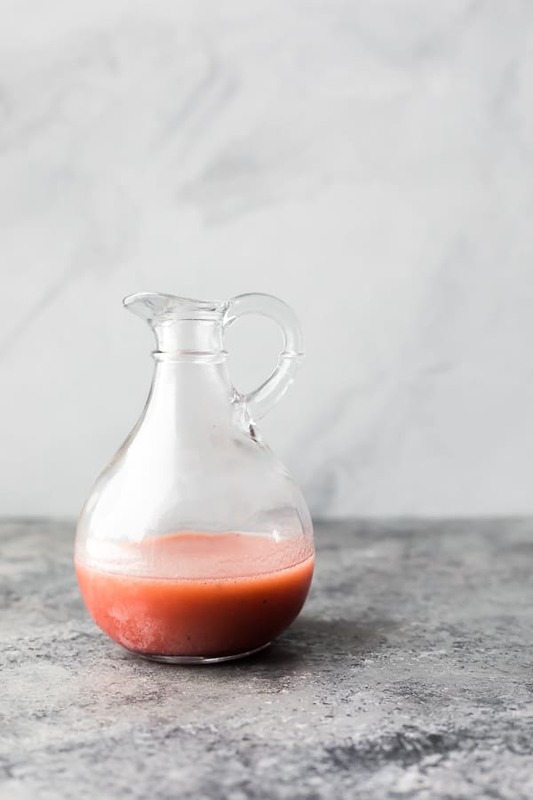 While most vinaigrette recipes stick to an oil to vinegar ratio of 1:3, I normally opt for 1:1 because a) it brings so much more flavor and b) it reduces the calorie count. This red wine vinaigrette is on the verge of being too tangy for me (I can’t believe I’m saying this). It’s perfect for pasta and grain-based salads as the flavor is diluted out as it absorbs into the quinoa/pasta/bulgur wheat. But on leafy greens such as spinach, I suggest opting for a 1:2 or 1:3 oil to vinegar ratio as it’s a tiny bit too intense. You just need four simple pantry staples! Red wine vinegar- I have just opted for whatever is available in the grocery store aisle, but you can get a whole lot fancier than that. Here’s a great review from Cook’s Illustrated of the best red wine vinegars. Olive oil- I go for a quality olive oil in my vinaigrettes by using extra virgin olive oil. 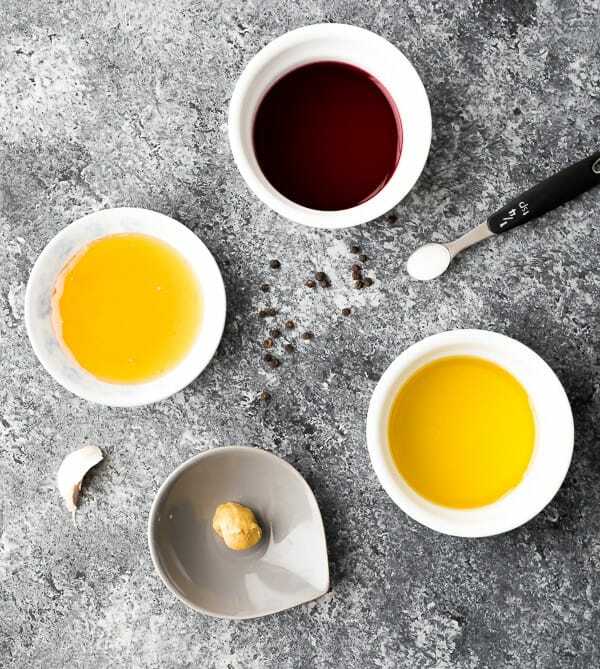 Dijon– while I’m not a fan of mustard, it is a key ingredient in my vinaigrettes. Not only does it add some depth of flavor, but it helps to keep the oil and vinegar from immediately separating (though they do over time). 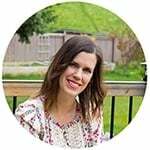 Maple syrup or honey- I use these sweeteners interchangeably in my vinaigrettes without noticing a huge change in flavor. Adding a bit of sweetener helps tame the tanginess in this red wine vinaigrette and adds another layer of flavor. I don’t recommend skipping it! What goes well with red wine vinaigrette?